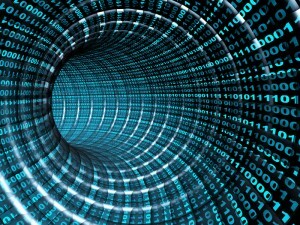 What Do You Need To Know About a VPN Tunnel? Virtual Private Network or VPN is a technology that can create a secure and safe network connection on the public network, such as Internet or any private networks owned by service providers. There are many large corporations, government agencies, and educational institutions that use VPN technology in order to enable all remote users to connect to the private network securely. A VPN is able to connect several sites over a large distance like the Wide Area Network or WAN. The Virtual Private Network is an inexpensive way to build a private network. Internet is used as the main communication channel between several sites. This method is more cost effective than the leased private lines. Many people love using this method because of the speed, ease, and flexibility of using VPN compared to the other method, such as leased line. The company is able to adjust the amount of sites connected in the VPN based on their needs and preferences. If you want to use VPN service, you should understand the meaning of a VPN tunnel. It is a safe and secure line where the client is able to receive and send data through the Internet or public network. Many people assume that the tunnel functions similarly as the subway network that transports from one place to another. This tunnel is very useful to create a safe and encrypted connection between two different places, especially in the middle of the public traffic. There are many benefits of using virtual private network and tunnel application. This technology is able to guarantee the safe and encrypted transfer via the Internet by using the secure line from and to different points. This tunnel application is usually used in any homes and workplaces. This is the safest way to transfer data via the Internet. This is very important because there are a lot of hackers on the Internet who are waiting for the perfect time to move and steal your personal information. Virtual Private Network supports two different types of funneling. They are voluntary and compulsory. These two types of funneling application are commonly used. In this tunneling application, the VPN client usually manages the connection setup. Clients need to make a connection to any carrier network providers or internet service providers. After they connect to their ISPs, they are able to create a safe and secure tunnel to the VPN server over this connection. It means that the tunnel is created over the connection. In this type of tunneling application, the carrier network provider is responsible for managing the VPN connection setup process. First, a client should make a connection to the carrier network. Then, the carrier provider is going to make a connection between the client and the VPN server. From the client’s point of view, this tunneling application only requires one step. This is easier than the voluntary tunnels. In this application, the client only needs to connect to the carrier network. The carrier is the one who is responsible to make a connection to the VPN server. There are several tunneling protocols that are commonly used all over the world. They are created for different purposes. Different protocols have different features, benefits, and advantages. These protocols are usually not compatible with each other. Here are some of those tunnel protocols. Several companies worked together in order to create this PPTP specification. People usually associate this PPTP system with Microsoft because all versions of Windows support this protocol. PPTP is the best protocol for any remove access applications of the VPN. It can support LAN internet working. This protocol supports data compression and encryption for any clients who want to transfer data from one place to another place. PPTP usually uses a form of GRE or General Routing Encapsulations process in order to get data from and to the final destination. PPTP still remains as the popular choice for VPN, especially in Windows users. Window servers are able to function as the PPTP based VPN servers. There is one drawback of the PPTP. It is not able to choose one standard for the encryption and authentication. Two different products that comply with the PPTP specification may be incompatible with each other, especially if those products encrypt data in a different way. Several years ago L2F was the competitor to the PPTP for becoming the best VPN tunnel protocol. Cisco, as the creator of L2F, combined the best features of the L2F and PPTP in order to create a new standard. This new product is called as L2TP. It works similarly as the PPTP. This protocol uses packet switched networks connection in order transfer data for any endpoints that are located on several different machines. The client usually has L2 connection to the access concentrator. This concentrator tunnels individual PPP frames to NAS, so the packets can be processed differently from the location of circuit termination. It means that the connection is able to terminate at the local circuit concentrator. It eliminates any possible long distance charges. This protocol is a collection of several related protocols. IPsec can be used completely as the VPN protocol solutions. It can also be used as the encryption scheme in the PPTP or L2TP system. This protocol exists on the network layer of OSI model. This protocol is believed to be very useful to implement any virtual private networks via dial up connections or private networks. There is one big benefit of using IPsec. The security arrangement can be handled without changing anything to the individual computers. IPsec has two choices of the security system. The first choice is called as Authentication Header or AH. It allows the authentication of the data sender. The second choice is called as Encapsulating Security Payload or ESP. This choice supports the authentication of the data sender and the data encryption. The bottom line behind the use of a VPN tunnel is to provide security. You can maintain privacy and also better prevent any information transmitted online from being stolen easily using this technology. These are the primary benefits of applying this technology in your business or organization.